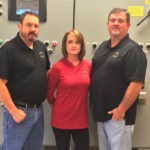 Over the last 40 years, we’ve strived to deliver every project with the same high level of care and customer service. Our goal and commitment to our customers is to find the solution that best fits their needs. Like any construction company, you really want your projects to stand out. Sometimes, that means making the project blend in. 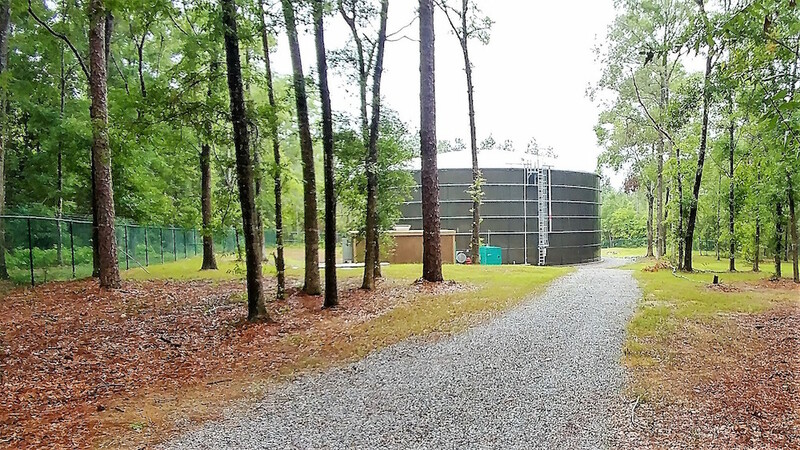 For Daphne Utilities, the challenge was to put a million-gallon tank where no one wanted to see it. The available property was located in an established neighborhood and Danny Lyndall, then Assistant General Manager (now General Manager), was well aware of this fact. Lyndall understood that public relations is as important for a utility as providing clean water. 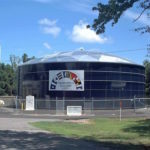 Through much discussion, the decision to design a 1 million gallon, expandable Aquastore™ tank as part of a Total Dynamic Storage system that avoided the use on an elevated tank. 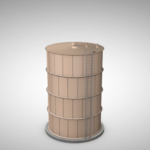 This tank can be expanded up to 1.5 million gallons without having to change the footprint simply by adding rings to the tank. 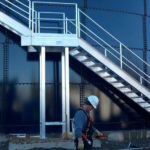 Not only does an Aquastore ™ and Total Dynamic Storage system cost less than an elevated tank of similar, the glass fused to steel tank has one of the lowest life time maintenance schedules on the market. And just to make that much more appealing, the color of the tank was green. The Total Dynamic Storage system utilizes variable speed drive pumps to provide optimum pressure with a ground storage tank. 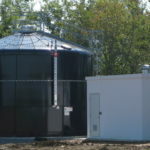 This optimizes water storage and flow, improves water quality with its quick tank turnover capabilities, and provides a low-maintenance solution without creating an unmanageable pressure zone that comes with an elevated tank. At Southeastern Tank, every job is important. Every customer is important, from the consultants, the utilities and ultimately, to the customers that it serves. It’s why we’ve got to enjoy 40 years in business. If you’d like to learn more about how we got to where we are today, keep reading.